I like money. By money I mean hard, cold cash which I can spend without Jeff Bezos tracing every purchase. I can spend it in stores where everyone, whether they have a debit card or not, can buy what’s on offer. Unlike an Amazon rewards card, hard cold cash says right on it, “This note is legal tender for all debts”. 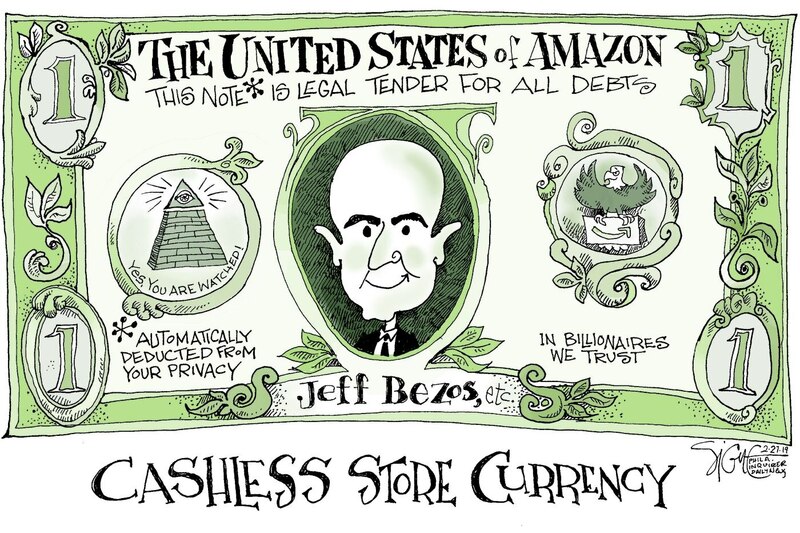 Though Amazon was apparently putting the arm on Philadelphia’s mayor to cave, City Council is limiting cashless stores. I stand (or spend) with them!